Students learn about density, mass, volume, buoyancy, specific gravity, and flotation while experimenting with real-world materials. 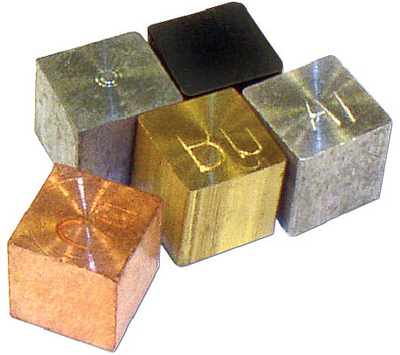 The cubes are made of aluminum, copper, steel, brass, and zinc. The five 10 mm cubes can be used in a variety of experiments.